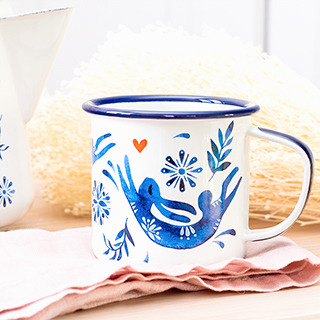 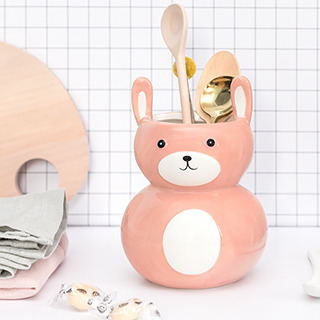 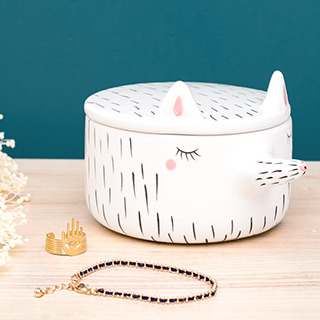 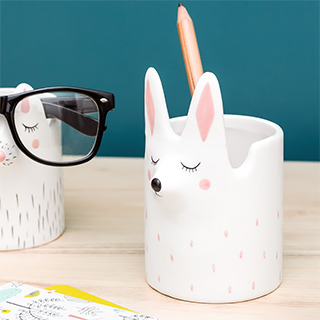 A lovely ceramic pot in the shape of a cute handpainted bunny. 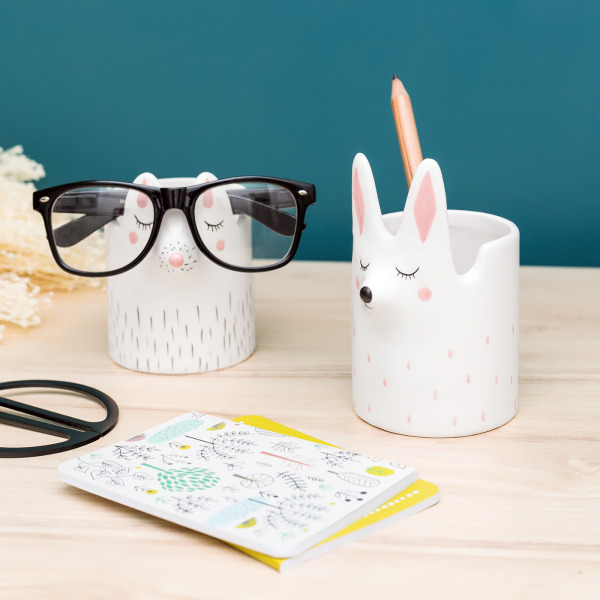 It has a multiple functions: on the one hand, it keeps pencils, on the other, it allows you to store your glasses avoiding scratches or loses. 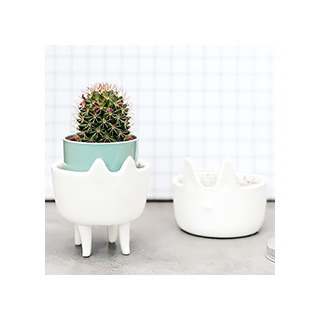 You can also use it as a vase or a planter.